G20 leaders will launch a Compact with Africa as the major new initiative of their 7/8 July summit in Hamburg, Germany. Details about the priorities and processes that would frame and drive the compact are yet to be negotiated, but German Chancellor Angela Merkel wants this to be a hallmark of her 2017 G20 presidency. 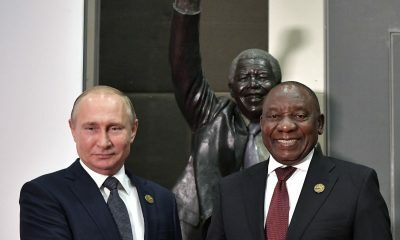 Doubtful US support for such G20 initiatives, or for multilateralism generally, during the presidency of Donald Trump has complicated her presidency but she appears determined not to allow him to deflect or distract her from this experiment in what may have to be an African compact with the G19. Any compact with — not just for — Africa, implies a commitment to genuine partnerships, based on agreed goals, obligations, and performance standards. These will have to be forged despite vast and persistent disparities between the most and least advantaged countries. Broadly, the goals of the Compact would be to create more stable environments for investment, thereby encouraging greater engagement and investments by Africa’s foreign partners, especially in priority areas of infrastructure development. This virtuous circle, proponents of the Compact hope, would lead to sustainable economic progress. Germany has also announced that the compact should accept greater mutual responsibility in fields other than economics, notably, migration and refugee movements, money laundering and corruption and counter terrorism. In a spirit of partnership, Germany invited three African leaders to join the discussions in Hamburg, as South Africa is the continent’s only G20 member. The three guests will be: Guinea’s Alpha Conde, the current chair of the African Union; Senegal’s Macky Sall, president of the revitalized New Partnership for Africa’s Development; and, Uhuru Kenyatta of Kenya, who recently addressed the G7 summit in Italy, and called on the major powers to listen more to African voices regarding problems of mutual interest and concern. Closer to the ground, Afrobarometer released on 9 April a public-attitude survey of citizens’ demands across 36 African countries, aimed at influencing the Hamburg discussions and eventual implementation of greater international cooperation between the G20 and Africa. 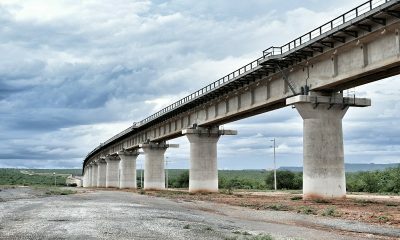 Survey findings appear to confirm that ‘infrastructure’ should be a priority of G20 policies, such improvements should also prioritize meeting what big majorities of citizens say are their most pressing priority needs for food, cooking fuel, clean water, medical care, and access to opportunities to earn cash incomes. Majorities of Africans still living in rural areas are especially anxious about access to education and health services and food security. The surveys also reveal growing grassroots concern about corruption and lack of trust and confidence in political and social institutions essential for effective governance. The Germans are not unaware of these many competing, complex and costly needs. 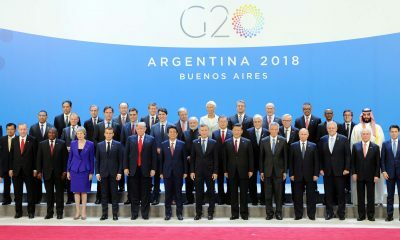 To their credit, they convened several dialogues, between March and June this year, several dialogues involving non-governmental stakeholders in all undertakings of the G20. 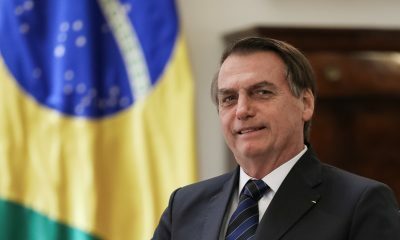 The biggest event was a June conference in Berlin for delegates from across Africa to voice their hopes and concerns for a G20 – Africa partnership that addressed many of the social and local issues highlighted in the Afrobarometer survey. For anyone interested in whether the Compact with Africa is likely to succeed after the G20 leaders and guests have left Hamburg, there will be several key areas to watch. The first and most pressing problem is alleviating the threat of famine facing, according to the UN, some twenty million people in East and Northeast Africa and extending westward to areas of Nigeria. Humanitarian emergencies have not always been a G20 concern, but the politics of famine relief are perilous. Serious funding shortfalls constraining the UN and other agencies on the front-lines, and could get worse should the Trump Administration succeed in cutting America’s big contributions to famine relief. African governments will also be pressed to do more. Hence the opportunity for a joint G20-Africa political campaign to muster adequate resources for the first responders attempting to deal with this emergency. A second issue, related to the famine, and already marked as a priority by Chancellor Merkel, will be to ensure that the Green Climate Fund is adequately funded and effectively applied in helping African nations adapt to the global warming. Famines have many causes, but overwhelming scientific evidence points to the impact on faster than average global warming causing drought, forced migration and refugees, plus other deleterious effects. The Green Climate Fund, a core element in the global 2015 Paris Climate Accord, will help the most vulnerable countries, mostly in Africa, adapt to climate change. The fund has begun operations, but its start-up budget of $10 billion and plans for annual funding of $100 billion by 2020 have been imperilled by the sudden withdrawal of all US support. Together African and G19 representatives may be able to lead global efforts to ensure this Green Climate Fund meets it objectives. This raises a third priority issue, whether Compact countries could raise the additional financial resources to implement their new partnerships by mounting more effective joint efforts to curb illicit financial flows. According to the AU/UN commissioned Report of the High-Level Panel, “Track It! Stop It! Get It!” chaired by former SA President Thabo Mbeki more than $50 billion of taxable monies illicitly leave Africa annually. UNECA estimates exceed $800 billion left Africa between 1970 and 2008, making the world’s poorest region a net capital exporter. Most of this money flows through commercial channels with complicity of both exporters and importers, their bankers, and weak or corrupt government oversight. Greater government transparency and accountability within and among all Compact partners, will be vital. African governments took an important first step in this direction fourteen years ago when they launched the African Peer Review Mechanism. The APRM was given fresh attention when President Kenyatta became chair in 2016 and with dynamic new leadership at APRM’s headquarters in Johannesburg. 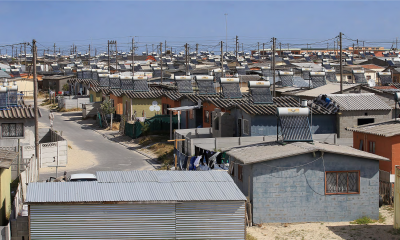 The APRM can provide essential monitoring and local context for judging the performance of African partners to the Compact’s projects and programs. This may require some adaptation of APRM processes, as well as extending the review process to participating G20 countries. Those countries belonging to the OECD will be familiar with a peer review process quite different from the APRM, but that perhaps could be relevant for aspects of compact performance monitoring and assessment. Another African element that could contribute to effective implementation of compact commitments are African multilateral bodies, with the active support of AU and UNECA and the affiliated Regional Economic Communities (RECs). Eight RECs recognized by the AU have widely varying capabilities and mandates, but several could be very important to cost-effective implementation of compact initiatives involving multiple countries in one or more of Africa’s sub-regions. The European Union is already a member of the G20, which might be useful precedent for inviting one or more RECs to join the Compact with Africa. Finally, resilient partnerships rely on shared values, not only common interests. The most commonly shared secular political values find widespread formal acceptance of respect for universal human rights and democratic principles. Virtually all states now claim to be democratic. 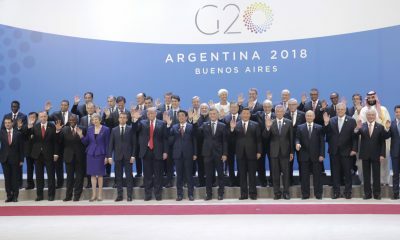 The one G20 exception is Saudi Arabia. All members of the African Union have formally affirmed their broad acceptance of a shared commitment to democracy and human rights under the AU’s Constitutive Act and the African Charter for Democracy, Elections and Governance (ACDEG). Actual adherence to these values vary widely. But the AU at least mandates all members to hold regular periodic national elections that under the ACDEG will be open to AU observers. Virtually all do, and many also welcome observers from the EU and other G20 members. Even Chinese teams of election observers are occasionally deployed, as during Madagascar’s 2013 democratic transition. In the debates prior to and since the founding of the AU and adoption of ACDEG, democratic governance was endorsed as the most appropriate long-term means for securing peaceful pan-African integration and development. Although autocracies persist within Africa and among G20 members, the ‘Compact with Africa’ will likely prove more resilient and successful if members are willing to hold each other accountable for agreed standards of good governance as well.